This is the road to our Secret Hideaway. Shhh. I sure would like to crash that party. Thanks, Kitty. There’s a wonder down that road. Clare, you take such interesting photos. 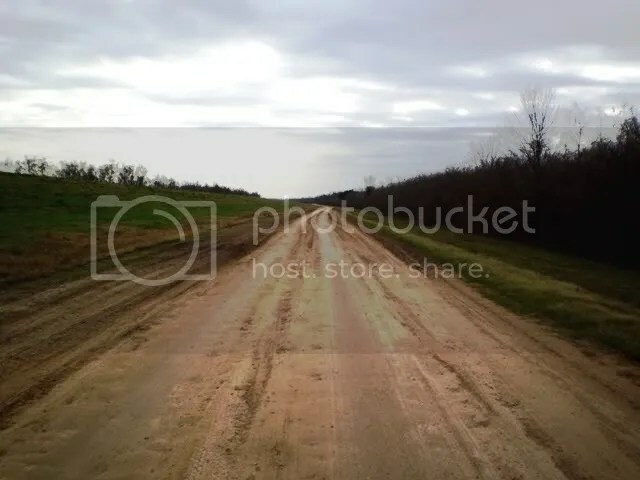 Now I just wonder what’s around the next bend on this muddy, muddy road. Very nice. I don’t know where this road is going, but I want to go wherever it leads. It reminds me so much of where I am from — the flat, middle part of the country. These mountains, this low sky — where I live now. Oppressive. It goes to the place where you and I will sip the wine ( or retreat into the woods for poetic inspiration.) Wouldn’t it be cool to have an informal retreat in the fall 09?